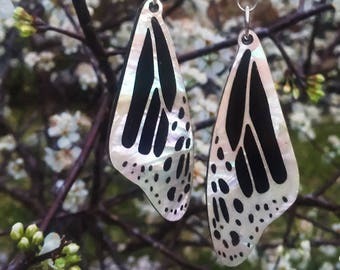 These butterfly wing earrings are laser cut from ebony and have abalone is inlayed creating the design. 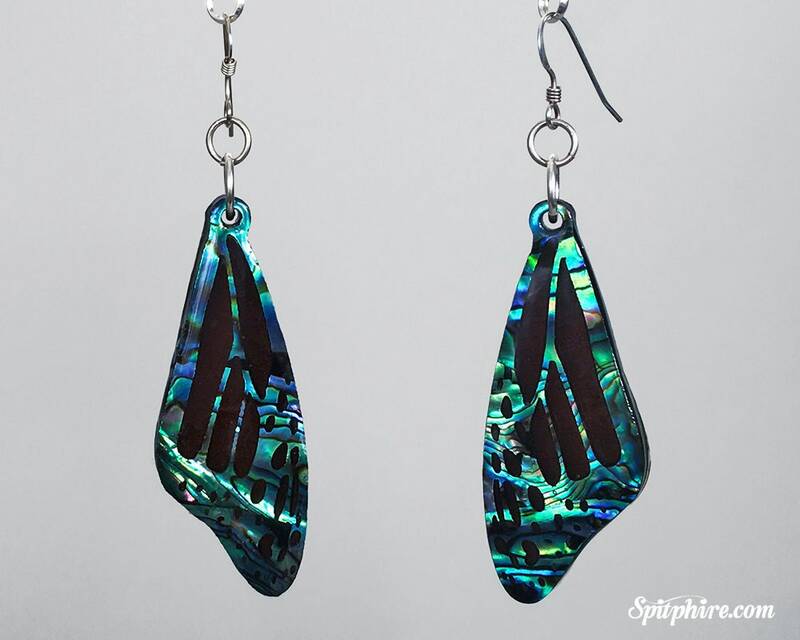 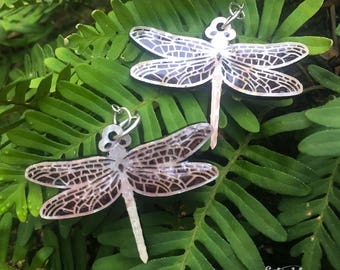 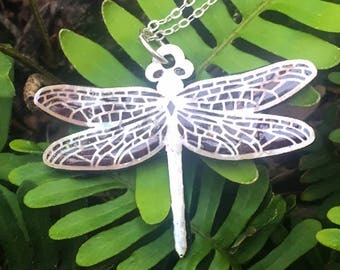 They dangle from your choice of sterling silver or gold earring hooks. 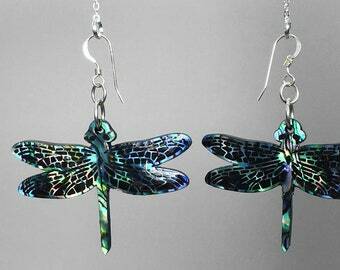 Was a gift and the recipient loved the earrings.